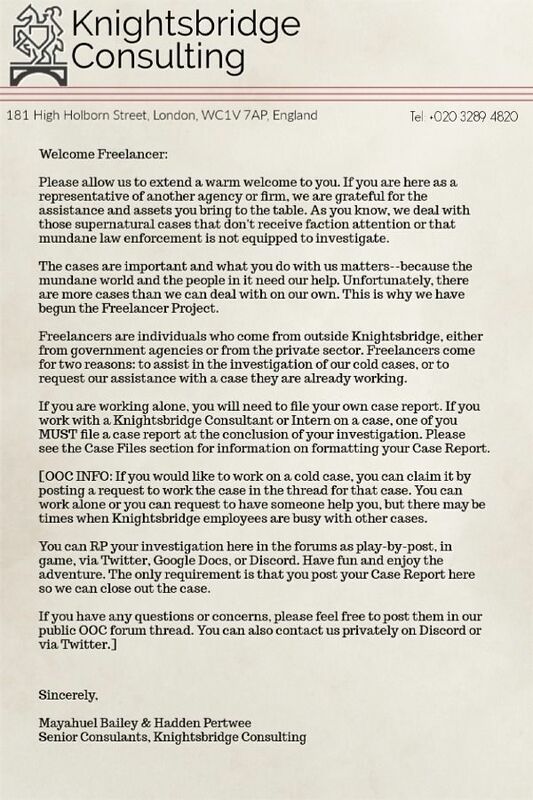 The following memorandum is for ALL participants in Knightsbridge Consulting's Freelancer project. Please be sure to review the memo prior to beginning the investigation of your case. All Freelancers are expected to abide by the same code of conduct as Knightsbridge staff while they are working in our offices. Thank you.